I love food and drink, to the point where I would rather spend money on a meal than on basic living needs, such as shampoo. I love writing about it, and I’m not going to lie to you I stopped simply because I wasn’t feeling it – the excitement wasn’t there anymore that I felt in Edinburgh. So, I thought I would mix it up a little bit, keeping it short and sweet and putting less pressure on myself. Without further ado, welcome to the Gluttony Journal. Upon watching a video on Vice , one of my favorite media outlets, I stumbled across Uncle Boons. 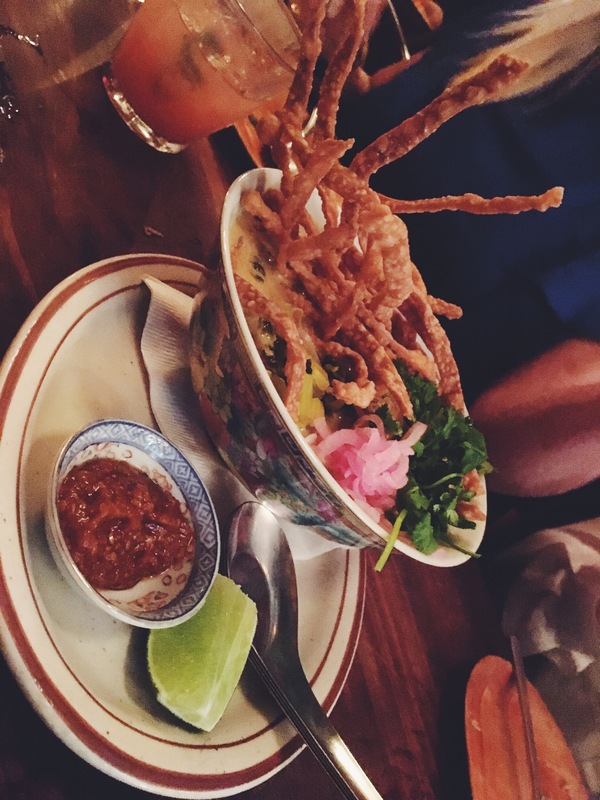 They were interviewing a chef and instead of eating at his own restaurant he took Vice and his chef friends to Uncle Boons on the Lower East Side. One Friday we decided to check it out, we were greeted with a four hour waiting list – this place must be good. A few weeks later it was my friend Jack and I’s birthday’s and we wanted to have our birthday meal here, I pestered my friends to be at the door of Uncle Boons by 5.30 (when it opens) so we could get a table – we managed. Holy crap, this place is unbelievable and what is even better is that it is family style so you get to try everything. The food was filled with flavor and spice and it was in fact so delicious that I do not have a favorite dish, just check out the menu for yourself. When should you go? Date night or a catch up with small group of friends. We have been here before and I have already written about it here. We were hungover and couldn’t fathom the train into the city so ended up walking to Grove Street in Jersey, many restaurants we tried looked rubbish or were closed so we ended up here. We have had the mozzarella before which has never disappointed and we also went for the pasta and salad deal which was in the average category. We went for the Bootzin – tomatoes, sausage, cherry peppers and olives – with the Three Trees salad – radicchio, rocket, almonds, pear with a rosemary and shallot vinaigrette. On this particular occasion the service was appalling and the food took about forty minutes to reach us even though they were not busy. They also took our food and drink order before cleaning up the dirty table. When should you go? You’re feeling rough and you just so happen to be on Grove street. We walked past here and it looked so cute, so when Flo and I had a fun day out and then all of a sudden we craved Greek food – I knew exactly where to go. You literally walk from the Lower East Side through the door into a small cobbled street in Greece with white brick walls, blue tables and chairs, fairy lights and some added greenery. We ordered (to share) three spreads and fresh pitta, it was a tough choice but we narrowed it down to Melitzanosalata (eggplant), Hummus and Tzatziki. 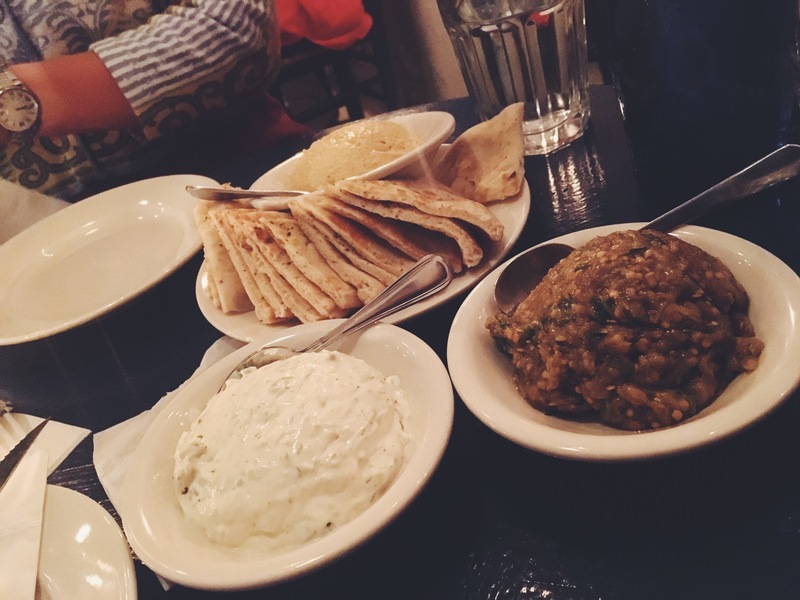 Oh my word, I could have danced on the spot – Greek food has worked it’s way up to being my favorite cuisine because of this fantastic selection of goodies. We also ordered the SGR Arni Pita with lamb, tomato, red onions, fries (inside the pita with everything else) and tyrokafteri which is spicy feta. We walked out of there with big smiles on our faces having only spent$20 each, the fact that we were sitting next to a fantastic couple to listen to and that we were so full we could barely move. When should you go? It’s a good restaurant for a small amount of people as it’s quite a crushed environment, so I would recommend a date night or a catch up with a friend. I did notice the clientele was around my age (early twenties…kind of). We came across this on a map having no idea it existed. Loving food and drink it seemed only right to go. It was A LOT smaller than expected, essentially held in a large garage. 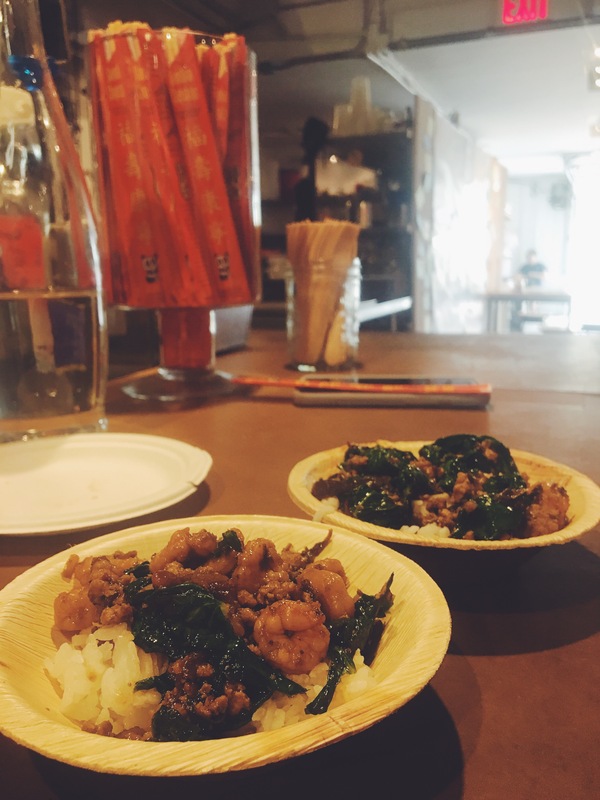 With one exhibition on – Chow – ‘Making the Chinese American Restaurant’. It was interesting and I learned a lot from the exhibition but also slightly underwhelming. We did get to eat at the end, three courses of tiny samples of food. Starting off with dumplings, then a stir fry and poached pear which was all cooked in front of us by an incredibly awkward and uncomfortable Scottish man. Some people genuinely should not be customer facing, he was one of them. When should you go? If there’s an exhibition on that you REALLY want to see. Price range: General admission (for a student) – $10, admission including food (for a student) – $20 – price was not worth it. I love a good food festival, however I don’t love them in 30 degree heat. There were people fainting left, right and center and the queue for any form of refreshment was a mile long. Who knew people would wait in line for SHAVED ICE. Anyway, upon being surrounded by deep fat fryers we couldn’t think of eating anything worse, so we ended up getting corn covered in butter, chilli and cheese. It was good, but hard to eat. I don’t think I will be heading back in that temperature ever again. I have also written about Smorgasburg here. When should you go? Not during high heat. Yes on a pay weekend. Price range: Corn – $5 everything else is around $8-15. What have you indulged in this week?